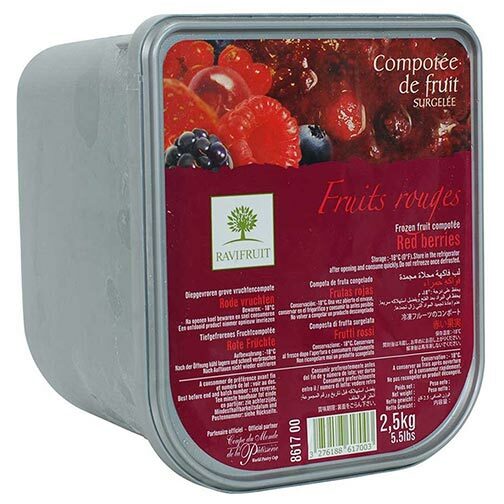 Created by renowned Pastry Chef Christophe Michalak, this slow cooked, thick, radiant, red fruit compotée from Ravi Fruit is the combination of practicality and quality. Ready-to-use and composed of strawberries, raspberries, morello cherries, red currants, blackberries and blueberries! Perfect for layering in verrines, fillings of cakes, tarts, and macarons!